The conventional ‘wheelie-bin’ treatment which has become commonplace in Sports clubs nationwide. I personally find this practice subjective for a number of reasons. Firstly, if a person gets injured, the R.I.C.E. principle applies. Taking the I. as a connotation for ice in the treatment, is to extract the heat out of the injury site. The interface in which the ice extracts and the concentration of heat is at its optimum where the ice burn occurs. In order to prevent this, a barrier or medium is applied such as a damp towel etc to avoid the burn. This begs the questions of how you might prevent ice burn when you immerse yourself in iced water? What acts as the barrier to prevent the burn? The required effect of the process is to gain a vasoconstriction. In cryotherapy treatment of a foot injury, the temperature is tested to the patient’s threshold. The foot is immersed in cold water to effect a vasoconstriction. It is then immersed in hot water to effect vasodilation. In the absence of hot water, the shower is used in the ‘Wheelie-Bin’ treatment. Does it have the same effect as the immersion of hot water? Not n ecessarily. In 2010 an interesting article on the subject was published in the Irish Independent. Professor Donnelly et al U.L. 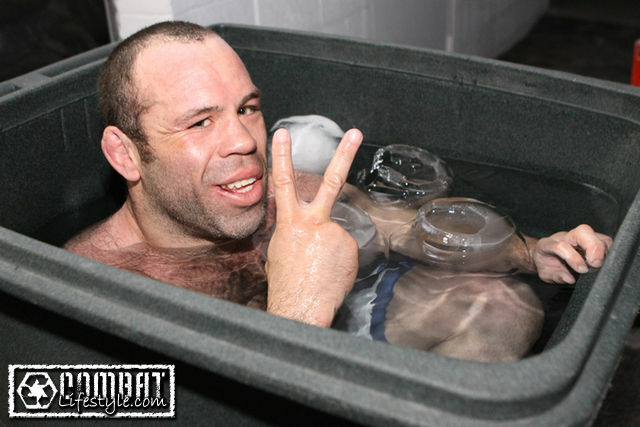 carried out tests over a three year period on cryotherapy ultimately finding that there was no proven benefit in reducing muscle soreness through the use of Ad-hoc ice baths. However, the definitive conclusion is the risk of Bronchospasm and ice burn. It also begs the question to be asked is medical clearance required prior to engaging in this practice?